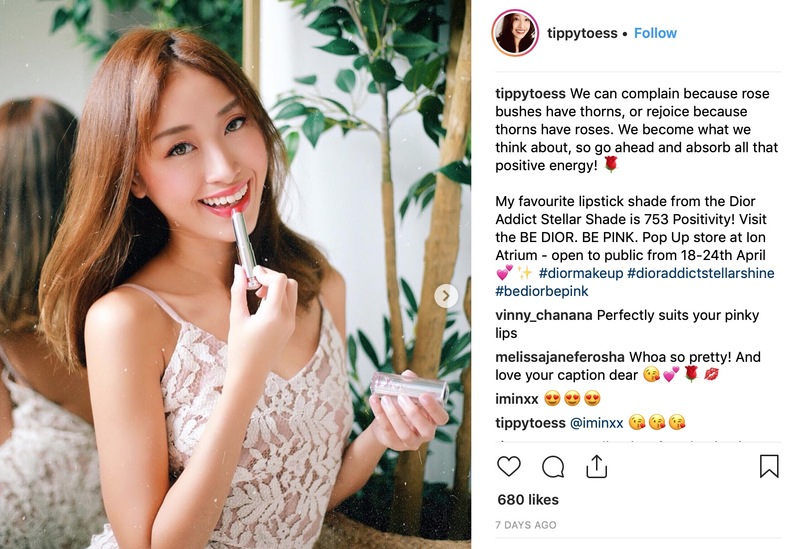 There’s no doubt matte lips — and matte makeup — have been trending for years now, with every brand pushing out their versions of what they profess to be “non-drying”, “comfort” mattes. And with the advancement of beauty technology, there are now some truly good matte lip products available. 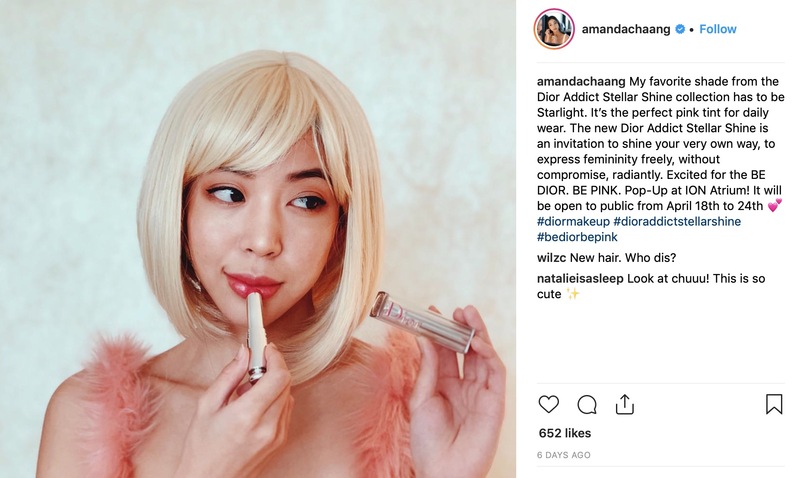 But matte still doesn’t work for everyone; it looks terrible on dry lips, it can add years to a face, and dedication to the look really requires constant touching up. So when the classic glossy lip made its return this year, it was a “finally!” moment for me. 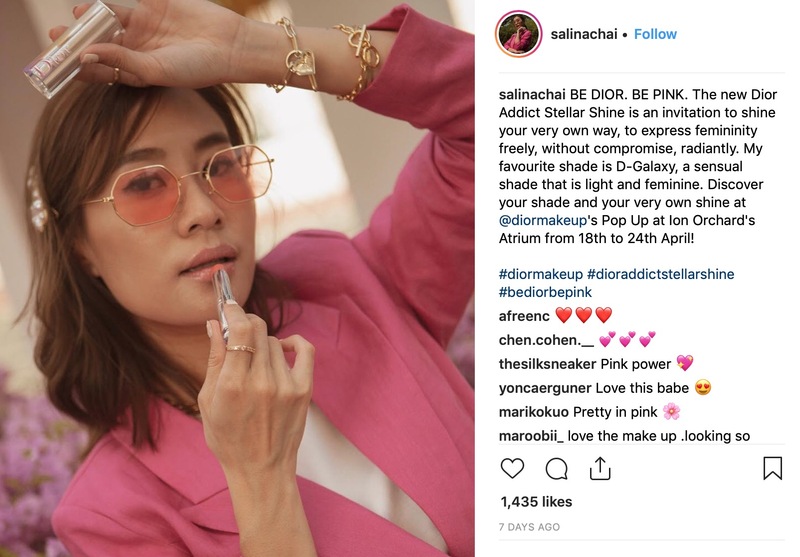 This is Dior’s signature shade of pink. 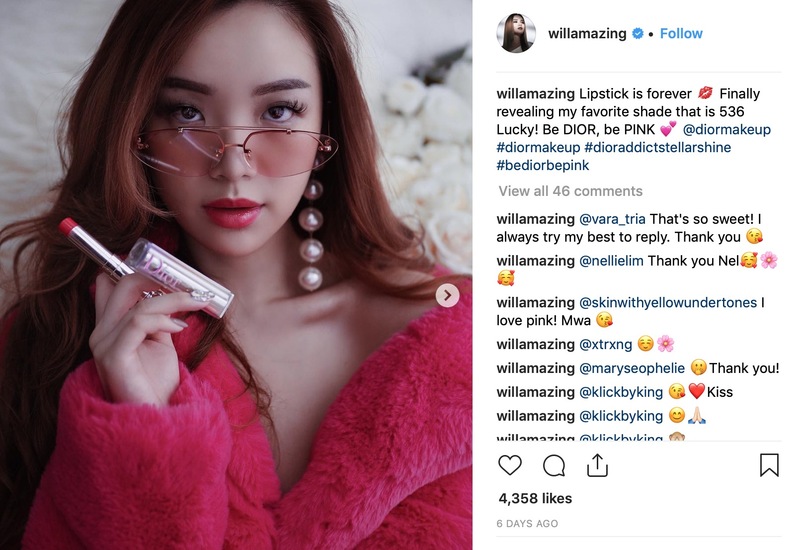 The Dior website calls it fuchsia; beauty blogger Temptalia describes it as a “cool red with a pearl finish”; we think it’s a colour that instantly brightens the face, and looks both healthy and confident. And if you want another reference, it’s also worn on the campaign image featuring Cara Delevingne. The lipstick claims to impart extraordinary shine and colour with 8 hours of wear, and in a balmy comfortable texture. I’ve tried it, and yes, the texture is balmy (and who doesn’t love lip balm?). Comfort also comes in the form of 24 hours of hydration to the lips with a formula infused with aloe vera, lightweight oils and waxes, including beeswax of natural origin. And it has a soft vanilla scent, that as Dior says, is addictive. above: WILLABELLE ONG looking amazing in 536 lucky — a red coral. 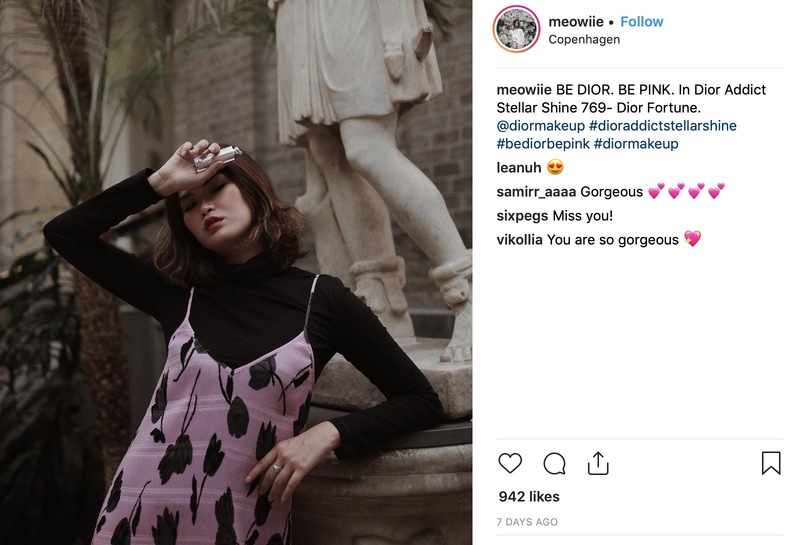 above: NELLIE LIM (one of our favourite content creators) wearing 649 diorosphere — a delicious dark peach. 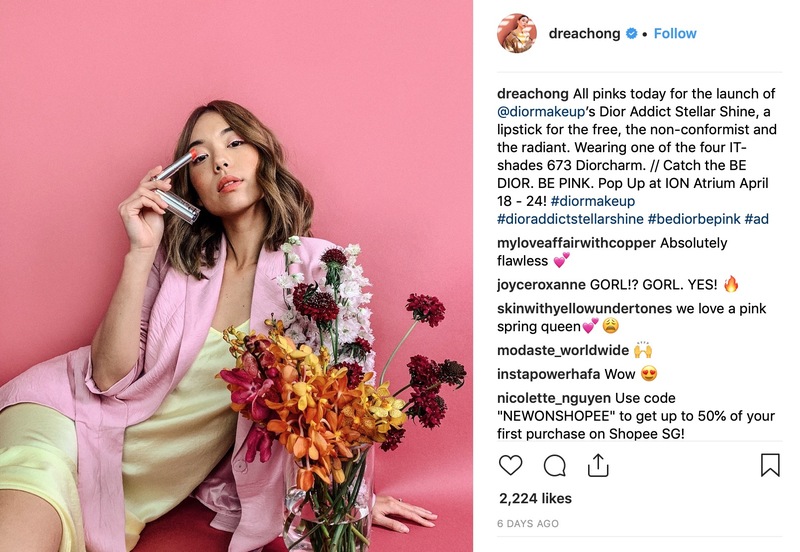 above: ANDREA CHONG in one of the must-have shades from the collection, 673 diorcharm — a pink coral. 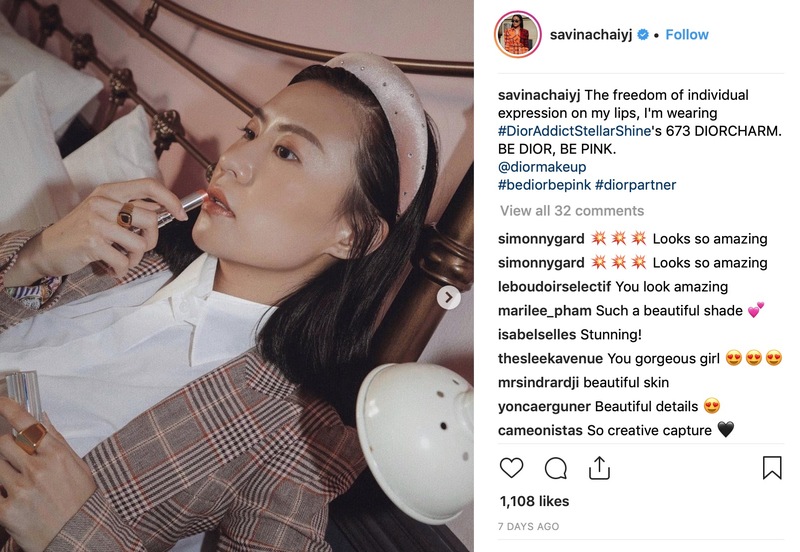 above: SAVINA CHAI also in 673 diorcharm. above: SALINA CHAI in 352 d-galaxy — a beautiful sparkle rosy peach. 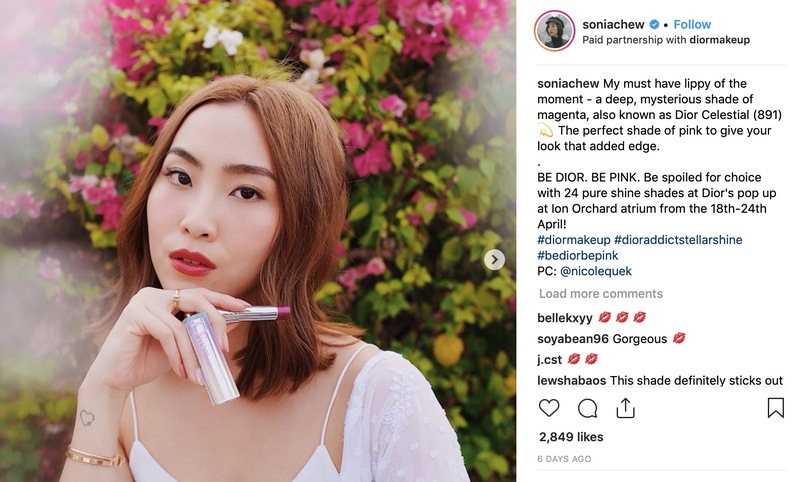 above: the super cool SONIA CHEW wearing the super cool shade, 891 diorcelestial — a sparkle purple. above: here’s MIN wearing 623 hypnotique — a cinnamon shade. 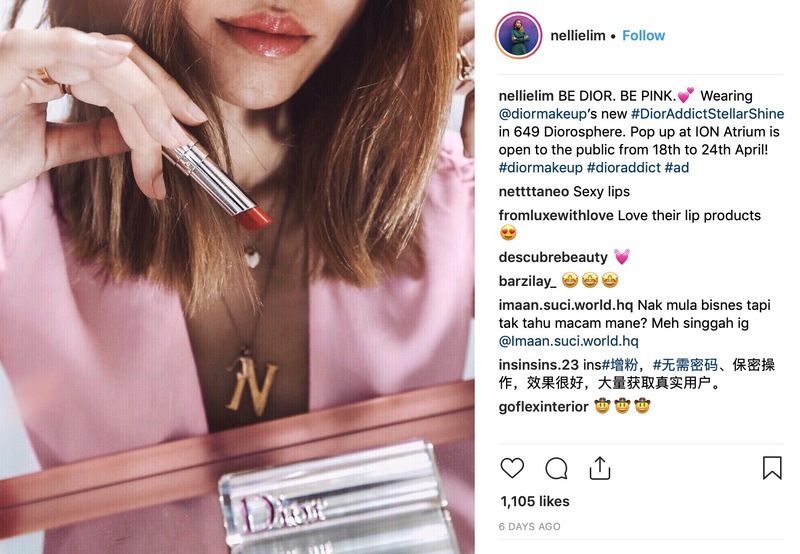 above: MELODY TAN IN 769 DIOR FORTUNE — A ROSY PLUM SHADE THAT WORKS FOR EVERYBODY. 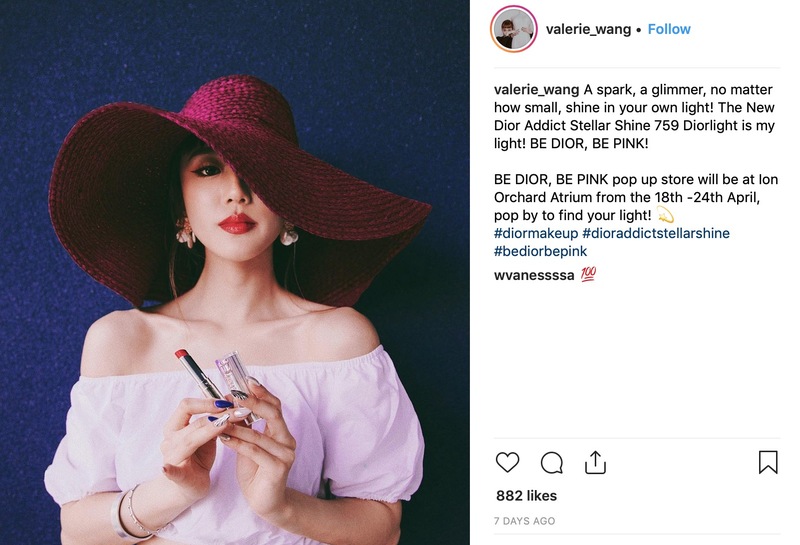 above: VALERIE WANG looking radiant in 759 diorlight — a mirror red (suits her). above: AUDREY LIM wearing 753 positivity — a vibrant red — because just look at this picture… so positive. 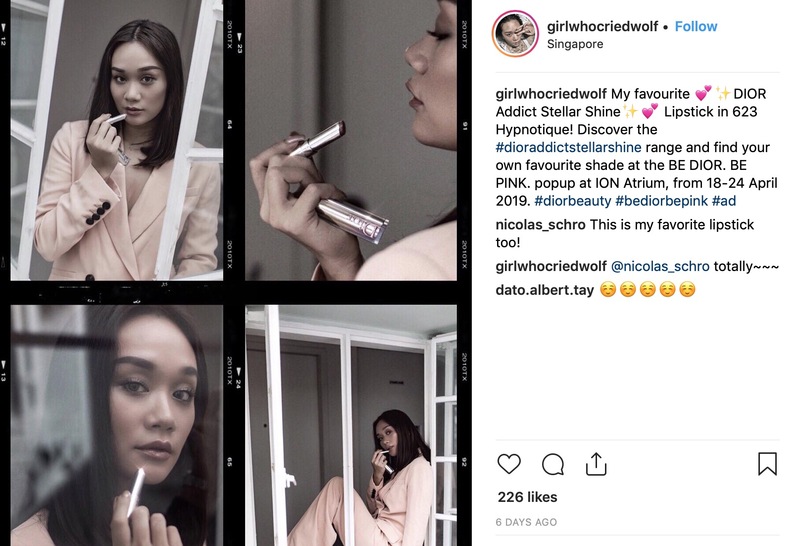 It will be no surprise to us if the Dior Addict Stellar Shine becomes the benchmark for lipsticks this year; it’s a tough one to beat, and it’s one of those products that you just need to try one time to be sold. Good thing there’s a Dior counter at almost every department store; go give it a try, it’s a winning formula.